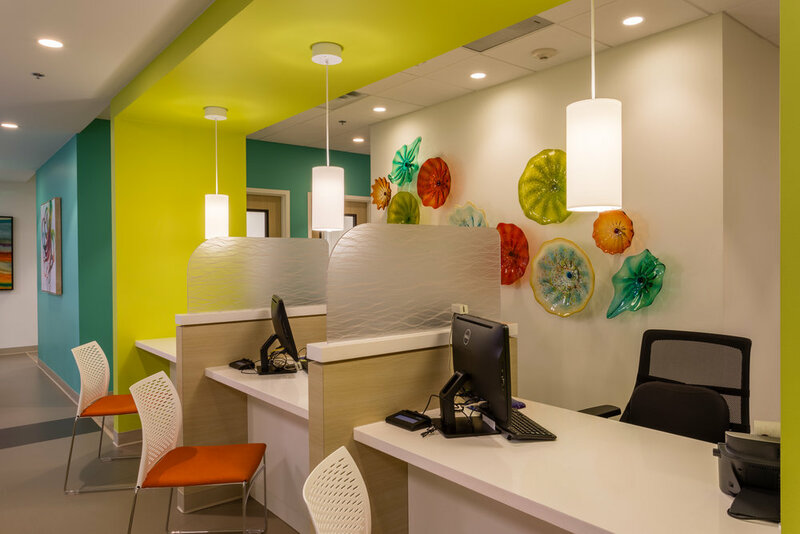 The existing surgery center waiting room had outgrown its original footprint and needed more seating capacity for patients. 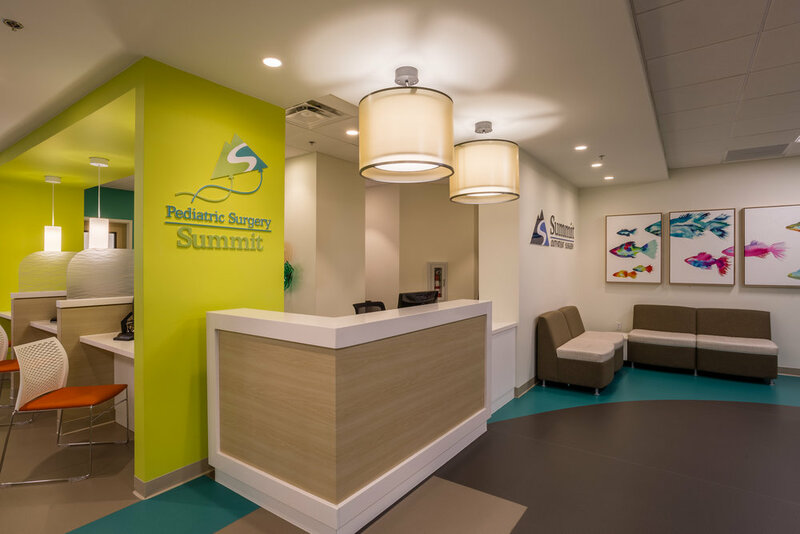 Coupled with rebranding the facility with an emphasis on children, our challenge was to create an open concept waiting area that was fun, inviting, and functional. 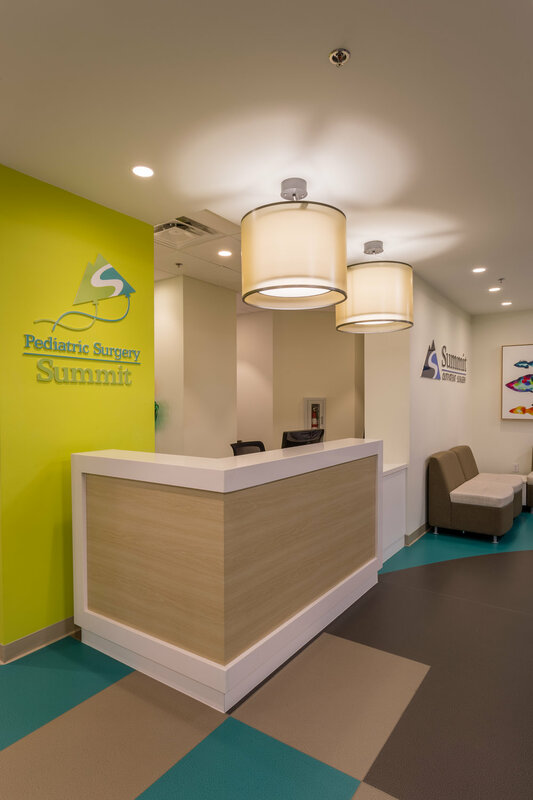 Through creative space planning, we were able to triple their seating capacity, increase their children’s play area, develop consulting rooms and expand their administration area.